• Take care of your family health marking temperature and symptoms changes. 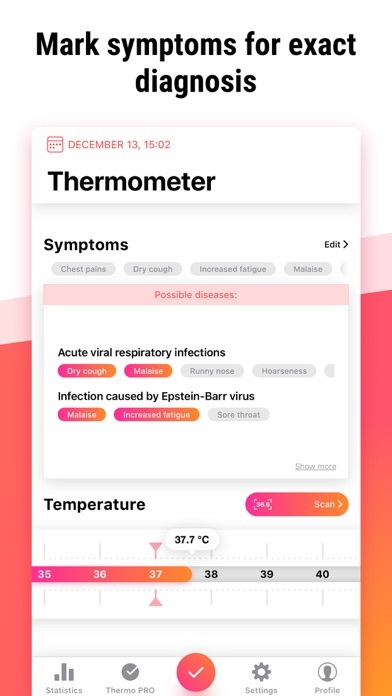 • Create profiles for each family member and track a health state of them. 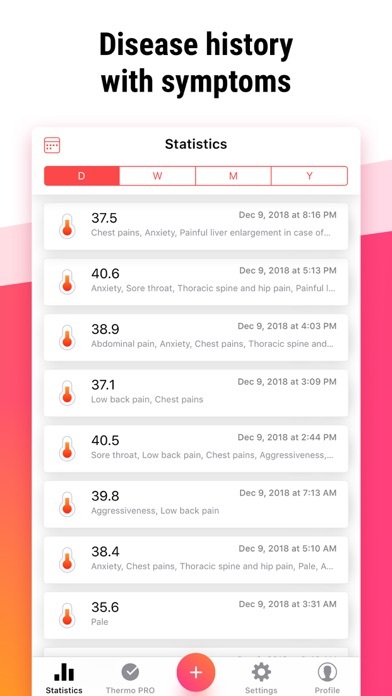 • Useful disease history and graph allow you to watch health dynamic. 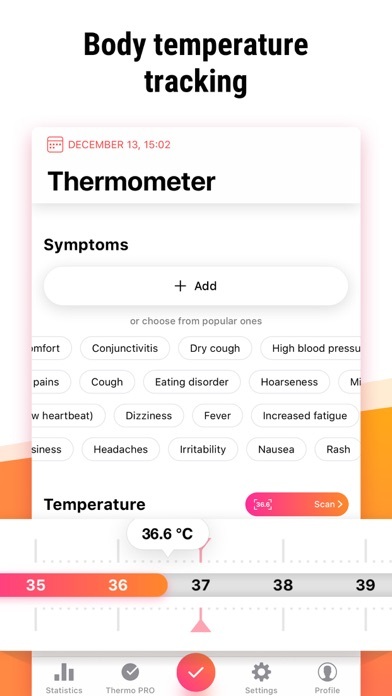 HEALTH DATA • Record the daily temperature of each family member using a handy thermometer and saving the temperature level • Synch all your health data with HealthKit CHARTS AND GRAPHS • Watch the graph of the temperature ups and downs for a day or a week • Check time to know exactly when the disease starts progressing APPLE WATCH SYNCHRONISATION • On the main screen you can choose our app in settings - that enables you to launch the app and see the last measurement quickly. • Also you can check the history with your watch. 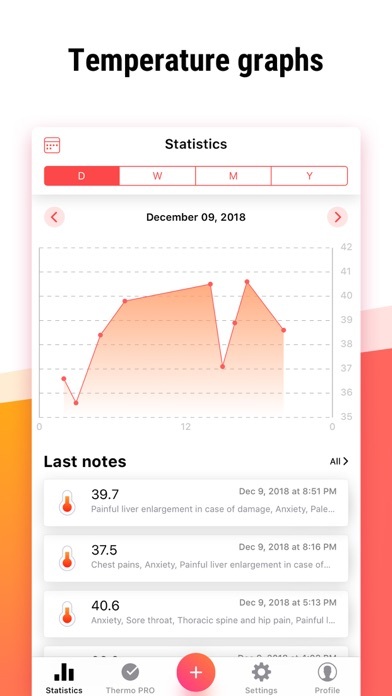 DISCLAIMER: do not use this app to determine your diagnosis, all tips are just recommendations! I downloaded the app, opened it and it immediately closed. Turned off my phone for a few minutes and tried agin with same result. Deleted, re- downloaded it twice with the same result. Deleting permanently. I accidentally purchased Thermo pro and it was WORKING GREAT before that but now when I hit restore purchases I don’t get anything back and it’s ridiculous because it automatically comes up for you to pay so when I tried to leave the app I didn’t see it and it took my finger print and purchased it and if people want it they will get it you don’t have to shove it in there face... now I’m out 11.99 and I thats money that could’ve been used for something else. Accidentally purchased, useless $12 app! Accidentally purchased with touch confirmation, not realizing it was $11.99 😳 OUTRAGEOUS price for an app that doesn’t do anything! Difficult to accurately mark temp as it uses a slider rather than entering data. 𝒎𝒎𝒆𝒅𝒊𝒂𝒕𝒆𝒍𝒚 immediately bombarded with a noisy add. The amount of ads really disrupts function of the app. There is no option under symptoms to write fever due to vaccines. The dial for the fever is unnecessary. It would be great to be able to manually enter the time and temp. Also no time can be entered for a previous reading of temp. 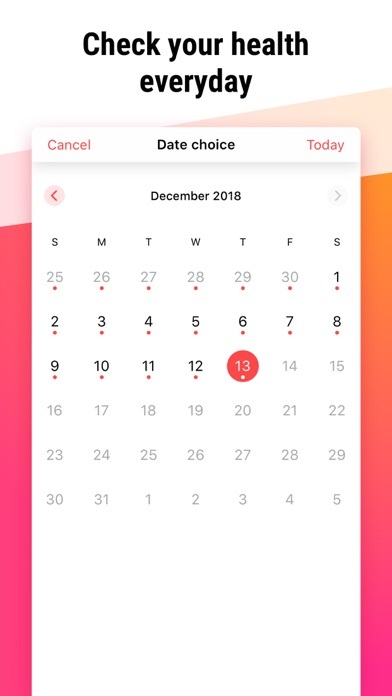 With a newborn you aren't picking up your app immediately so that option to enter a previous temp is necessary. I really wanted to like this app, but I can't even try it because of the ads popping up.